The test procedure is simple. The technician fills four grams of the sample into a glass dish, puts it into the RapidOxy 100 and loads the device with pure oxygen under a pressure of 700 kPa. When heated up to a maximum of 180 degrees, the pressure drop in the measuring chamber is observed. This could take a few days. The pressure drops because oxygen reacts with the sample and is this way consumed. Thus, the pressure drop is a measure for the oxidation and the "decay" of the sample. The recently published ASTM standard method deals with the spoilage of lubricating grease. "Oxidation of the grease leads to a loss of lubricity; the grease becomes harder and can clump, for example. Furthermore, oxidation products can arise that damage the material instead of lubricating it," explains Gerold Tandler, head of product lines at Anton Paar ProveTec. This information is essential for grease manufacturers and end users. Customers of the predecessor model, the RapidOxy, and the RapidOxy 100 include companies active in the petroleum, manufacturing, or food business. 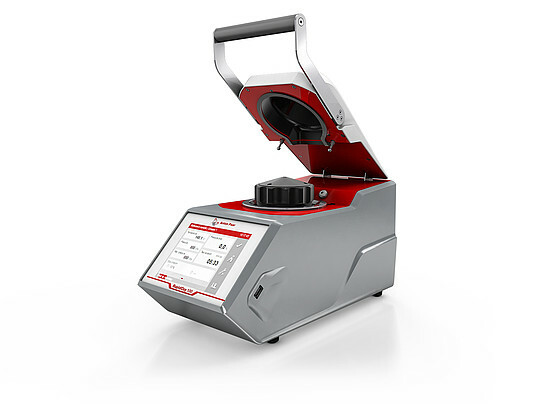 The advantage of the RapidOxy 100 compared to competing products: "It is faster and much more accurate," explains Gerold Tandler. The goal to create a new modern standard test procedure which eliminates the drawbacks of the existing methods has been achieved.